Green peas are one of the oldest cultivated vegetables. They originally came from India, but now are grown all over. 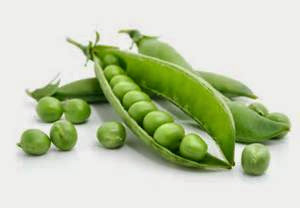 Green peas are low in calories, but are loaded with protein. They are also a great source of folic acid which helps keep cells young and vitamin K which keeps bones strong. Green peas help lower bad cholesterol and even fight cavities. So take advantage of a little green peas for some big health benefits.